The whole Krakow so close at hand – so comfortably and convenient – only in CityHeaven Apartments! Luxurious, air-conditioned, with modern design and a fully fitted kitchen, CityHeaven Apartments come with unique atmosphere, comfort, peace and quiet in an exceptionally convenient location. There is also an option to rent a parking place in the underground garage. After a 10-minute walk, you are in the Old Town; in 3 minutes, you will find yourself in the city's best shopping mall – connected with the train and the coach station. All Krakow's most precious historic treasures and tourist attractions can be reached by a stroll along atmospheric streets of our city. If you plan to go further, you can just take a tram or a bus; the nearest stops are within a few minutes' walk. CityHeaven Apartments are located in a building with a grocery store on the ground floor – all necessary shopping can be easily done after a short ride down by a lift! The store is neighbored by a bank and an ATM. CityHeaven Apartments are perfect both for a short business stay (each apartment is equipped with a desk) and a longer tourist trip with family or friends (there is a separate bedroom, a kitchen and a table with more than enough room for four persons, as well as a comfortable bathroom with a spacious shower cubicle). Each apartment has an individual underground parking place. 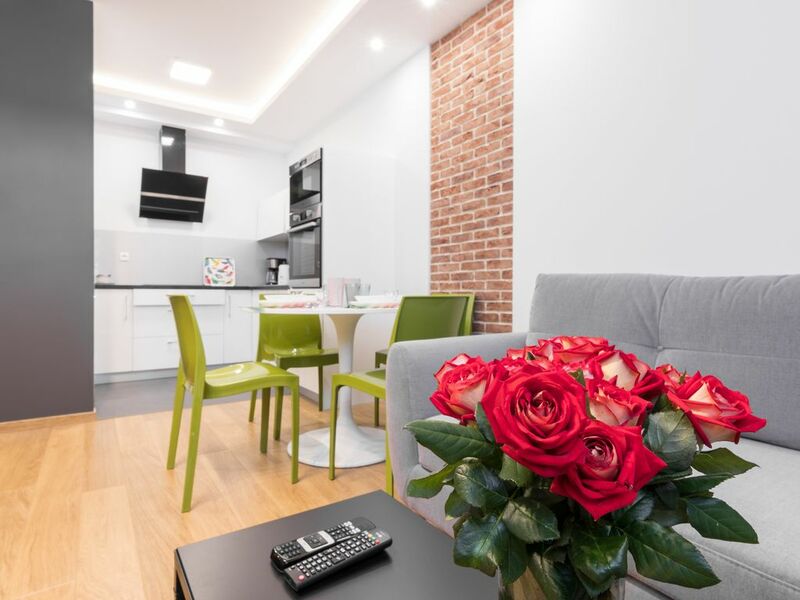 CityHeaven Apartments will enable you to experience Krakow in the most comfortable way – being just in the city centre, yet far from tiresome noise and crowds of tourists. In just a moment, you can find yourself on the Main Square. In just another moment, you can come back to the air-conditioned, ambient interiors to get in shape for further exploration of beautiful Krakow. We had a wonderful stay, clean, modern, had all the essentials. Our host Maggie, was very kind and helpful and assisted with directions for our tour. The place was modern, clean and we appreciated the A/C for the warm nights. This beautiful apartment was immaculate! Everything worked well and it was perfect. A 5 minute stroll to old town. Would definitely recommend. Great apartment, perfectly equiped and very clean. Few minutes walk from the market square and very close to the railway station. Malgorzata, the host, was very kind.